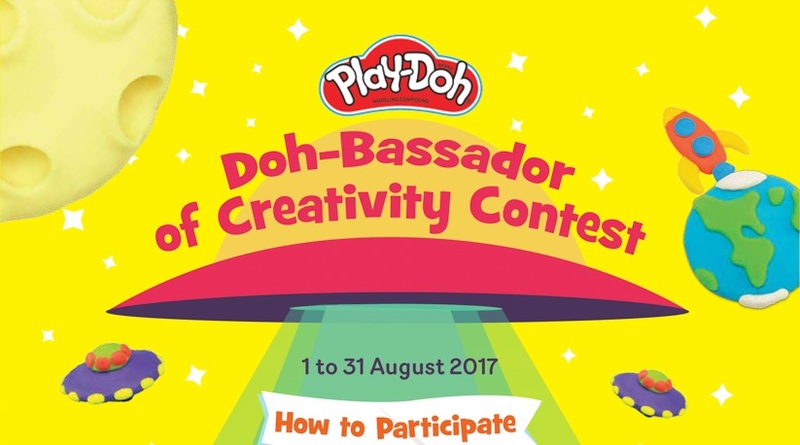 From now until 31 August 2017, Play-Doh is on the hunt for Malaysia’s most creative child, aged 4 to 9 years old, as their inaugural Doh-Bassador of Creativity. The winner of the Doh-Bassador of Creativity Contest will get to work with a key influencer to carry out a Malaysia-inspired project for World Play-Doh Day and Malaysia Day on 16 September 2017. In addition, the appointed Doh-Bassador of Creativity will also win RM 1,000 worth of Play-Doh products! “Play-Doh is known as a teaching tool to promote the development of children’s motor skills, communication skills, sensory experience and creativity. When you open a can of Play-Doh, it inspires endless possibilities and this is what we want to encourage parents to do. We want them to cultivate their children’s creative minds, and spend more quality time with their children while exploring different ideas. The Doh-Bassador of Creativity Contest provides an excellent opportunity to inspire and develop a child’s imagination,” said Kelly Yip, Brand Manager for Hasbro Toy (Malaysia).